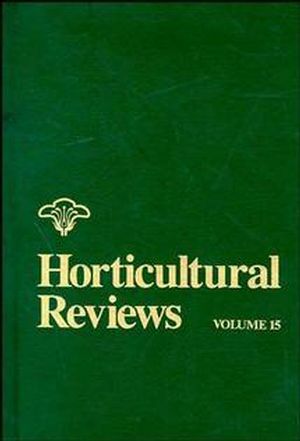 North American Botanic Gardens (G. Watson, et al.). Approaches to Reduce Chilling Injury of Fruits and Vegetables (C.Wang). Bloom Delay in Deciduous Fruits (J. Anderson & S.Seeley). Anatomical, Physiological, and Hormonal Aspects of Abscission inCitrus (R. Goren). Graft Incompatibility (P. Andrews & C. Marquez). Gravitropism: Changing Ideas (F. Salisbury). Environmental, Chemical, and Genetic Control of Flowering (J.Kinet). Whole Plant Senescence: Reproduction and Nutrient Partitioning (D.Sklensky & P. Davies). Potential Benefits and Risks of Herbicide-Resistant Crops Producedby Biotechnology (W. Dyer, et al.). Limiting Factors, High Yields, and Law of the Maximum (A. Wallace& G. Wallace).